The Environmental Protection Authority (EPA) of New Zealand released the results of their Review of Evidence Relating to Glyphosate and Carcinogenicity. 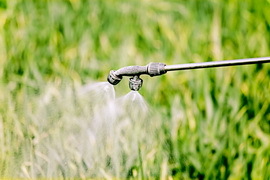 According to the report, "glyphosate is unlikely to be genotoxic or carcinogenic to humans and does not require classification under HSNO as a carcinogen or mutagen." The results are based on the weight of available evidences, taking into consideration the quality and reliability of available data. In 1993, the U.S. EPA classified glyphosate as Group E carcinogen, which is defined as having "evidence of non-carcinogenicity for humans". Then in 2015, the International Agency for Research on Cancer (IARC) classified the herbicide as Group 2A (probably carcinogenic to humans), which was based on lack of evidence from human data but sufficient evidence in animal-experiments. The latest report of New Zealand EPA used more recent studies and reviews on glyphosate. Read the report from NZ EPA.